As summer turns to fall, billions of birds fly from northern breeding grounds to their southern-hemisphere winter homes. Along the way, hundreds of millions will be disoriented by the nighttime lights of tall buildings; they’ll circle them to the point of exhaustion or crash into the windows, a tragic end to such an extraordinary journey. To prevent this conservationists have organized lights-out programs in major cities — but buildings in rural and suburban areas have received little attention, and may pose an even greater collision risk. In a study published in Biological Conservation, researchers led by Cosentino and Stephen Hager, a biologist at Augustana College, describe their autumn 2014 survey of 281 buildings at 40 sites across North America. Altogether they found 324 dead birds belonging to 71 species — not a large number in absolute terms, but massive when extrapolated to the continent’s buildings. 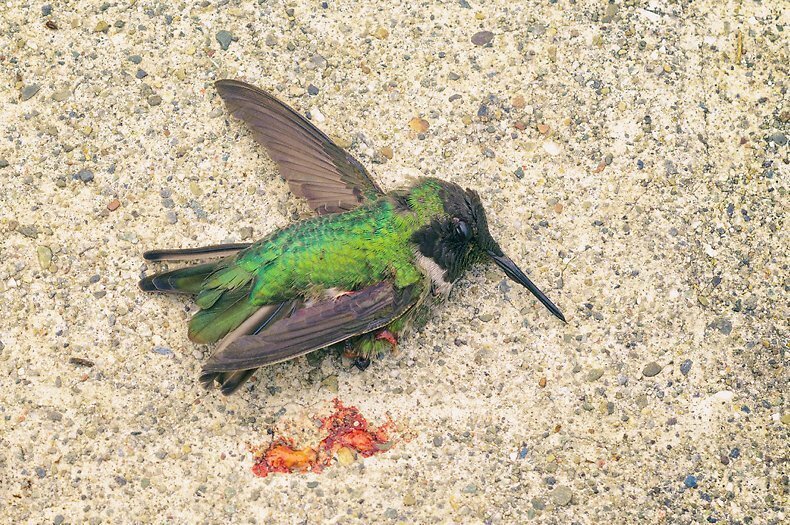 As expected, tall buildings killed more birds than smaller buildings, with migrants rather than local resident species accounting for most of the deaths. Less expected, though, was the relationship between mortality and local landscape characteristics. “Collision mortality was positively related to building size,” they write, “but the positive effect of building size on mortality was strongest in areas with low levels of regional urbanization and weak to nonexistent in regions with high levels of urbanization.” Which doesn’t mean that big buildings in cities are safe for birds — they’re not — but it adds urgency to the situation in rural areas, where the researchers surmise that lights from isolated buildings may be especially powerful beacons, and where larger numbers of migratory birds are found. As of now, says Cosentino, “virtually all of the ‘lights out’ programs organized by the Audubon Society have been established in large cities.” These programs, his team writes in Biological Conservation, ought to be implemented “in cities and towns of all sizes.” Apart from lights, collision risks can also be reduced by putting shades on windows, using non-reflective glass, or affixing decals or cords to window surfaces. Such measures could even be written into local building codes, Cosentino says, though more research is needed on their comparative effectiveness. In the meantime, people can start by turning out the lights — not just in cities, but in the country, too. Source: Hager et al., “Continent-wide analysis of how urbanization affects bird-window collision mortality in North America.” Biological Conservation, 2017.